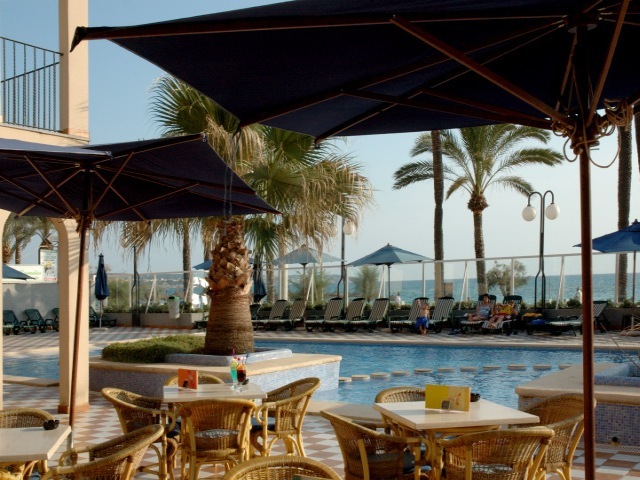 This magnificent and luxurious hotel enjoys a great location in the seafront on the Playa de Palma area, just a few steps away from the white sandy beach. Thanks to its wonderful position, visitors will be able to easily access Palma, the capital city, with its wide entertainment and cultural offer, and at the same time relax and unwind at the hotel's quiet setting. Moreover, guests might like to know that the international airport is a mere 10-minute drive away from the premises. Guests can choose between different types of room, and the majority of them include a private balcony with stunning views over the Mediterranean Sea. They boast a cheery and light-filled look to ensure visitors have the time of their lives. Guests may taste delicious dishes at the on-site restaurant with live cooking service, as well as a restorative dip at the outdoor or indoor swimming pool.